Molly's Cottage is a gem. 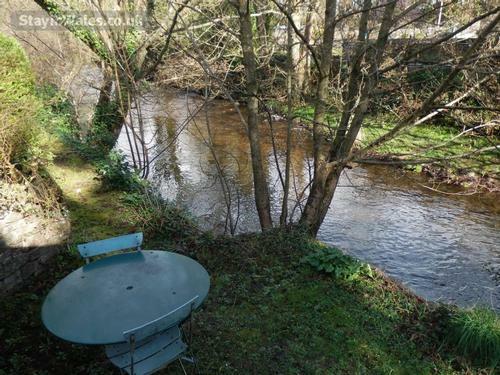 Blessed with an idyllic location on the banks of the weir and trout stream that runs through the sought after village of Talybont-on-Usk, it has been renovated to a high standard. 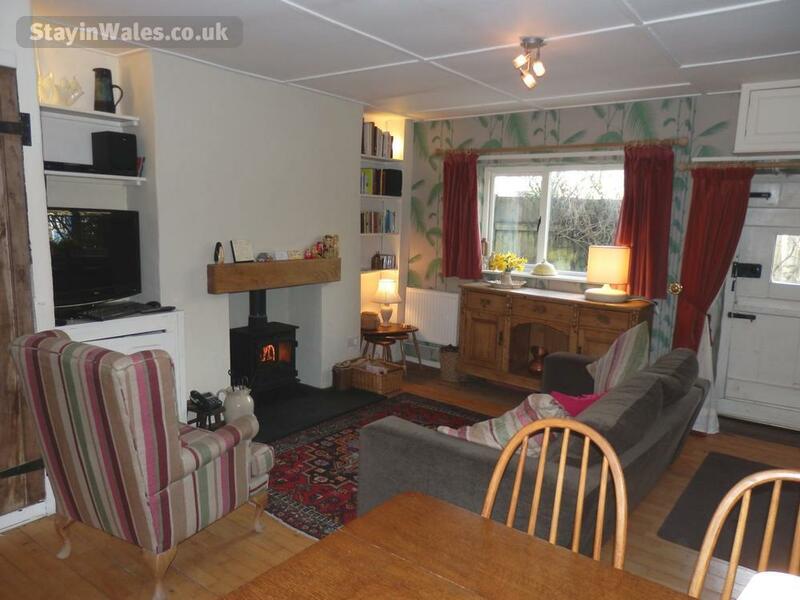 Molly's Cottage makes the perfect luxury romantic retreat or a cosy base for exploring the delights of rural Wales and its market towns. 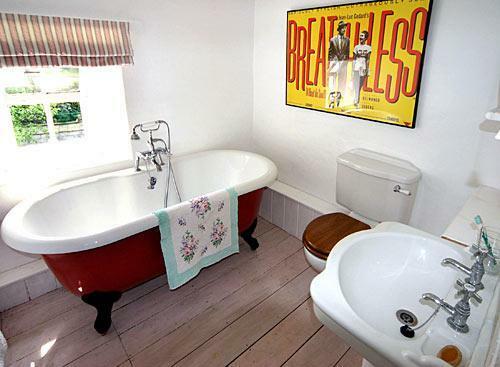 Sympathetically refurbished as a home rather than a rental property, Molly's Cottage boasts a comfortable double bedroom, two bathrooms, study, fully equipped handmade kitchen, sitting and dining room with wood-burning stove and a large screen television with a good selection of books, DVDs and videos to enjoy. 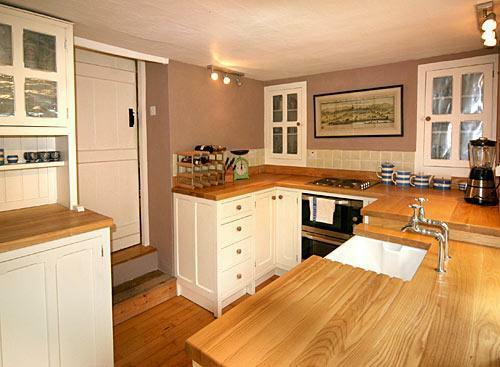 Central heating, fridge, freezer, microwave, washing machine and double oven. A free broadband connection is also provided. Guests are encouraged to help themselves to the wild strawberries, beans, gooseberries, raspberries and rhubarb that grow in the garden. 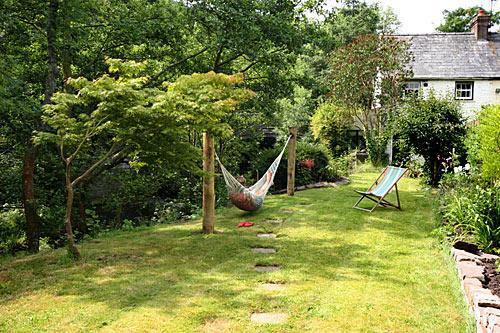 A hammock, and barbecue and furniture for alfresco dining are also provided. 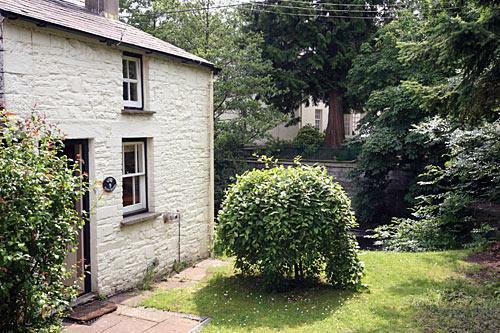 Although situated in the heart of an area famous for its rugged beauty and wildlife, Molly's Cottage is within walking distance of four pubs, the Breconshire canal and an excellent village stores and Post Office. 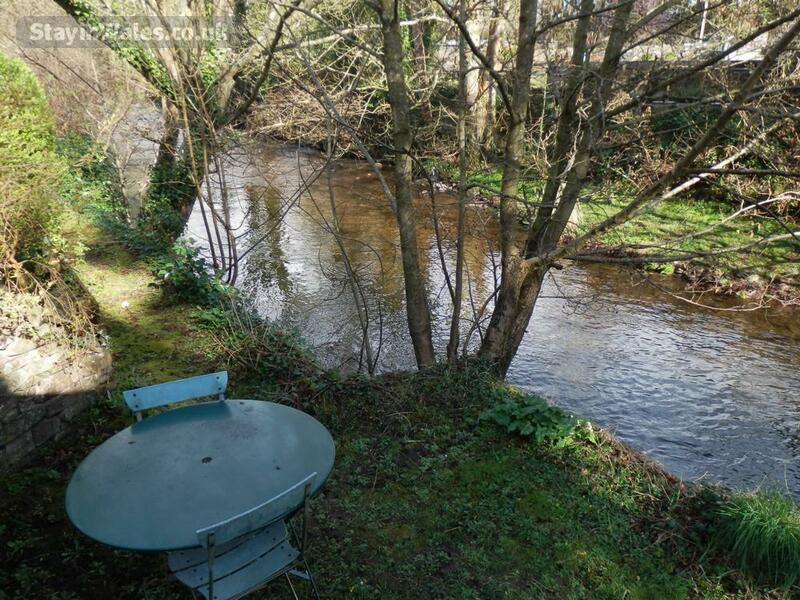 Beautiful hill walking stretches away in almost every direction with fishing and canoeing possible from the riverbank of the cottage garden. A short drive away is the market town of Brecon with its cinema, theatre, shopping and leisure centre. Watersports, pony-trekking, rock climbing are all available just over the valley near Llangorse Lake. Half an hour's drive away is Abergavenny, Crickhowell, the Big Pit coal mine museum and the bookshops of Hay-on-Wye. 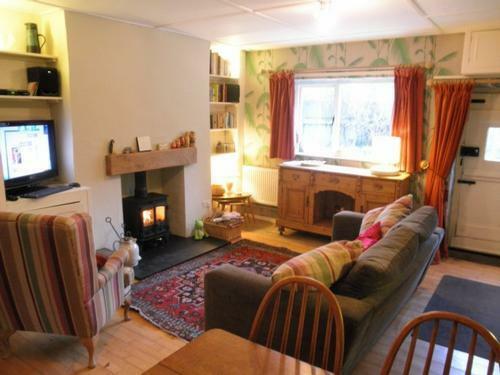 Heating and electricity costs are included. 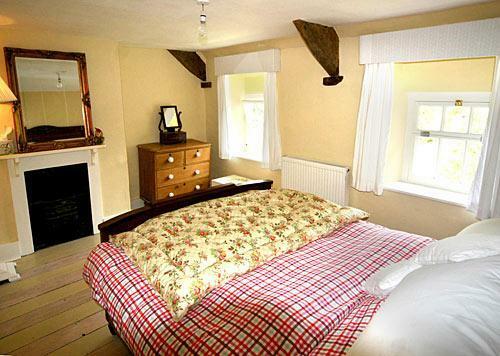 All bed linen and towels are provided and the bed is made up ready for guests. 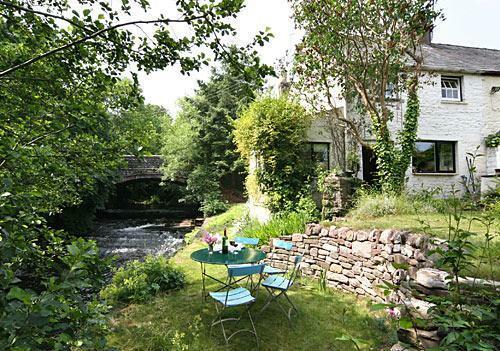 Sorry - the riverside setting means Molly's Cottage is unsuitable for children. Smokers and pets excluded.